Will Mitch Marner receive an offer sheet this summer? Will Mitch Marner receive an offer sheet? TSN: It is looking like Toronto Maple Leafs forward Auston Matthews will be signing a new contract with the Maple Leafs in the next few weeks on a 5-year deal with reports of an AAV of $11 million/year. An 8-year deal would likely cost the Leafs an AAV of $13.5 million/year. Mitch Marner’s agent has stated that his client does not want to sign a contract until the season is done. 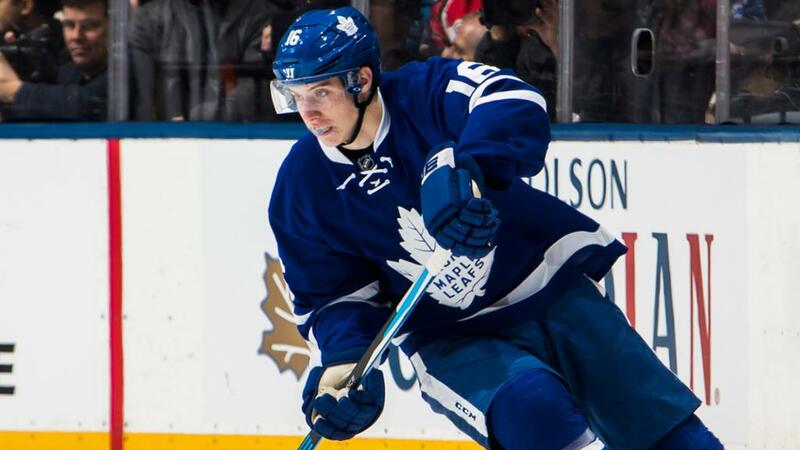 If the Leafs go on a long playoff run, that will only leave around 3 weeks for the team to work out a deal and if July 1st hits and no deal is done, Darren Dreger is reporting teams are 100 per cent preparing an offer sheet for Mitch Marner. We’ll see if it gets to that point. And as we’ve known, the Leafs have made it abundantly clear that if it does, they will match. The big question is, if Marner does get an offer sheet for $15 million AAV, and with Matthews and John Tavares signed to big contracts, the Leafs will likely have to trade Kasperi Kapanen, Nazem Kadri, Travis Dermott and a few others for draft picks and prospects. TSN 690: Darren Dreger was on Montreal radio and was asked about the Tampa Bay Lightning and what they might do at the 2019 NHL Trade Deadline? Dreger reports the Lightning have contacted the Philadelphia Flyers about Wayne Simmonds and have chatted to the Carolina Hurricanes about Micheal Ferland. The Hurricanes would like a scoring forward back in a trade for Ferland. Dreger also stated that the Lightning would like to make a trade for a right-shot defenceman. Tampa Bay has shown interest in Ottawa Senators defenceman Cody Ceci.